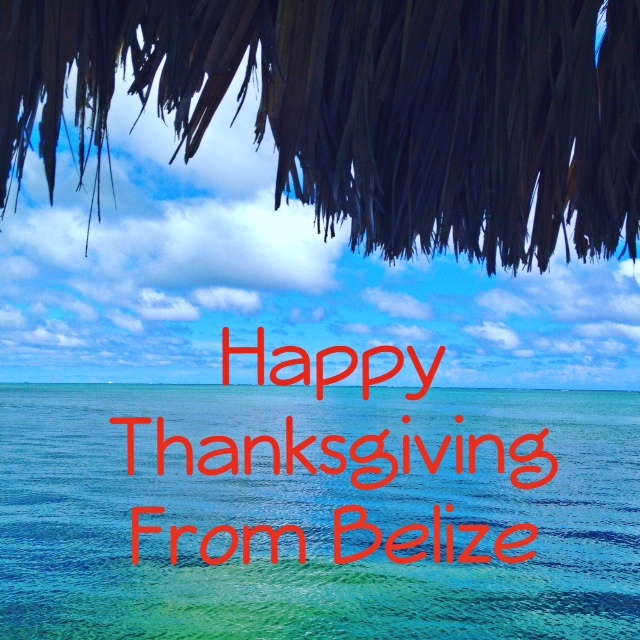 Happy Thanksgiving – a holiday not really celebrated by Belizeans but adopted a bit locally due to the influx of American residents and visitors. Plus – Food and football. Friends, family, gratitude. 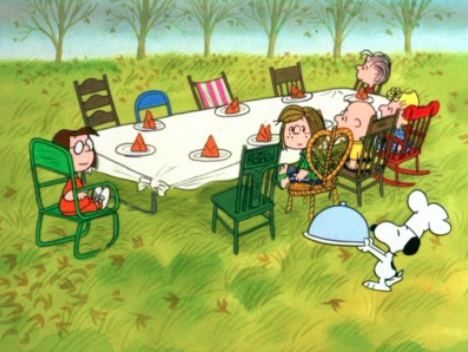 The one holiday where The Peanuts cartoons don’t annoy me. It’s just good stuff. And I could go on and on about what I’m grateful for…I mean SERIOUSLY. But I’ll just attach this New York Times article that a friend shared yesterday about the subject – Choose to be Grateful. I like it very much. 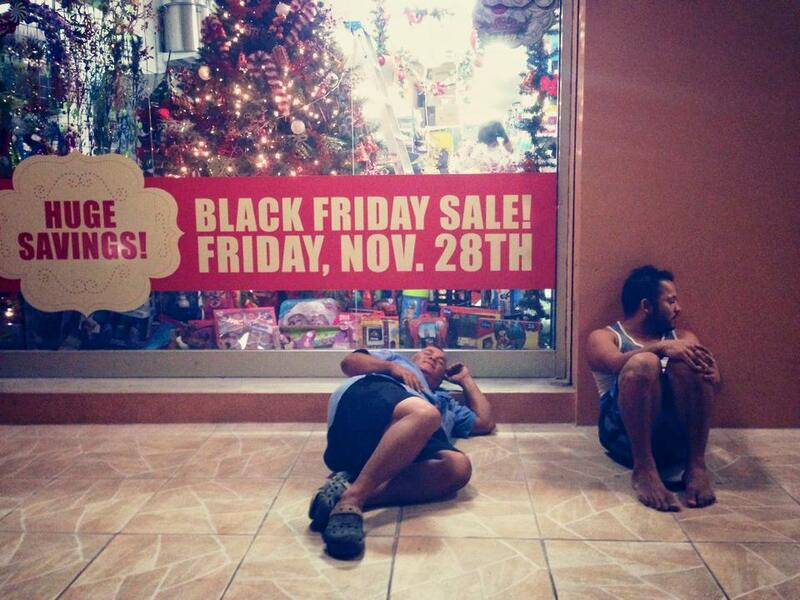 Oh…and one store has embraced the idea of Black Friday -for the second year. Super funny. Here are Finn K and his dad pretending to be Americans last year. I hope you all have a fabulous day. It is currently…pouring rain in San Pedro. POURING ALL NIGHT. It’s no official holiday here. 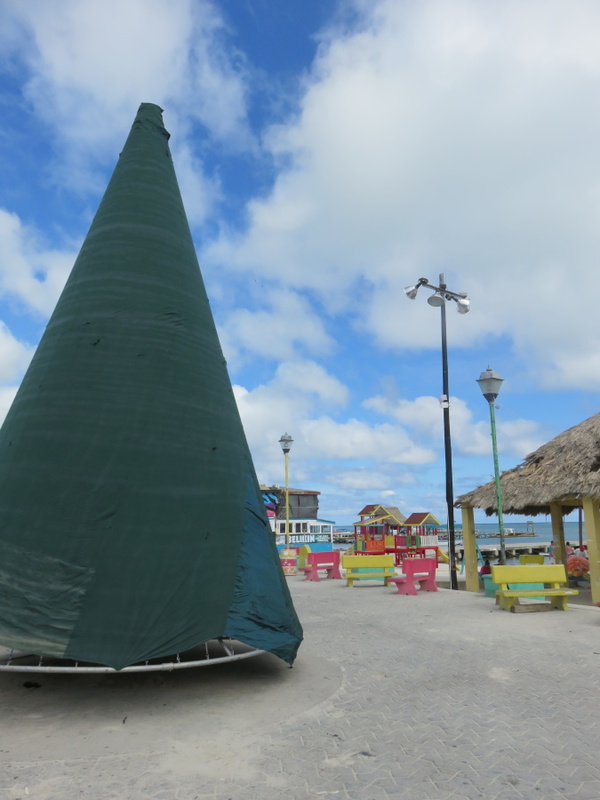 And the set-up for Christmas will continue if it just stops raining! Central Park. Over the next few days, she will be covered with lights. 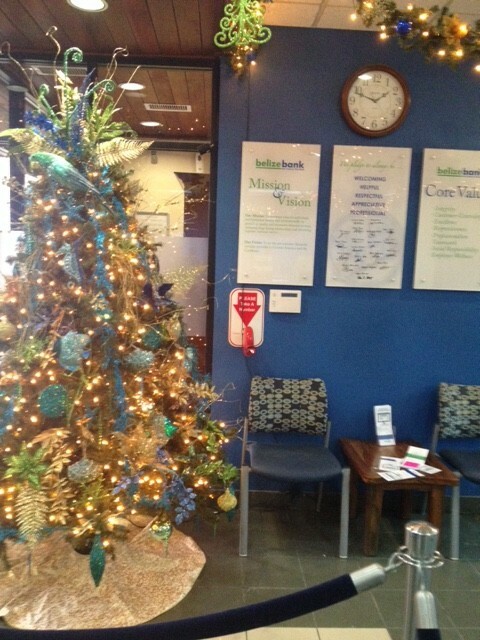 Belize Bank is all asparkle – with Christmas carols playing since Monday. HAPPPPY THANKSGIVING!!!! Here’s one more. Not annoying! You too Emily. 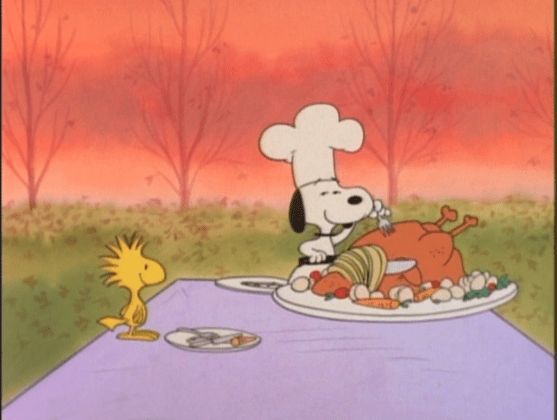 Feliz Thanksgiving! Thanks for linking to the Brooks article. I just spent a week in Ambergris and now find your blog so fun because I recognize the places you are talking about – so, yeah, thanks for blogging! Oh shucks 🙂 thank you. Happy Thanksgiving. Wish I was there rain or not.I think the black Friday cartoon is funny. NO way will I wait in line overnight for a store to open.